Simple programming everyone can understand, having 4 knobs to set the advance curve and rev limiter. Features include: staging rev limiter, remote rev limiter and manifold pressure (MAP) controlled boost retard. 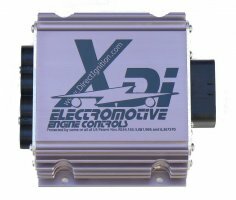 No laptop required for the XDi ignition.